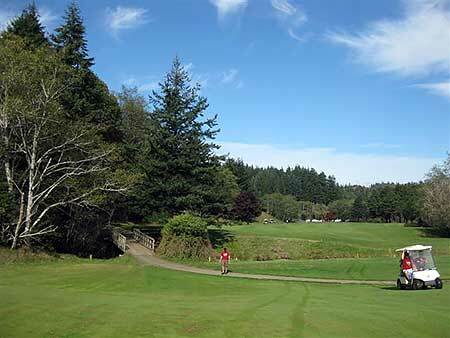 This fine facility is located near the Pacific Ocean on the Southern Oregon Coast. It is inland approximately two miles and carpets the Cedar Valley floor. The course is surrounded by coastal mountains which cradlie it and protect golfers from the worst of the summer beach winds. The fairways generally are wide and the greens are medium-sized and in good condition, which can make them quick on sloped putts. For more information or to schedule your tee time, phone 541-247-6911.